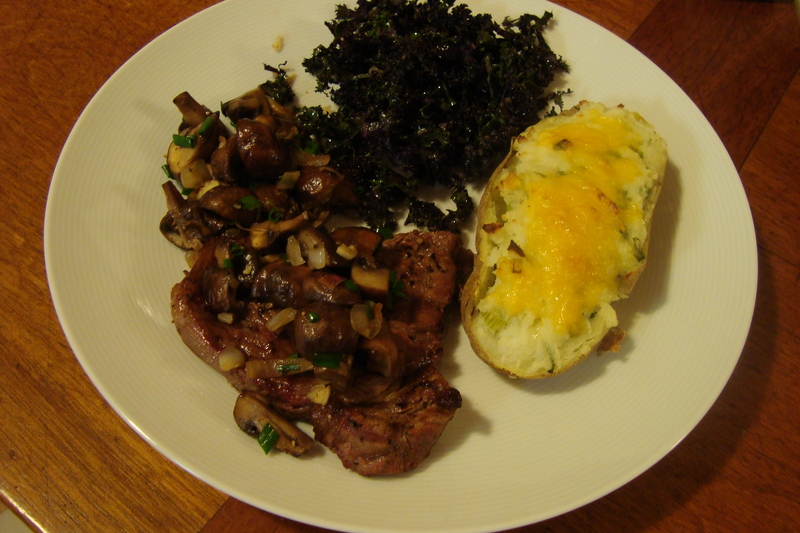 Last night I made modified version with only crimini and oyster mushrooms, to go with a steak dinner. You could also add a little bit of cream at the end and turn it into a mushroom sauce for steak. 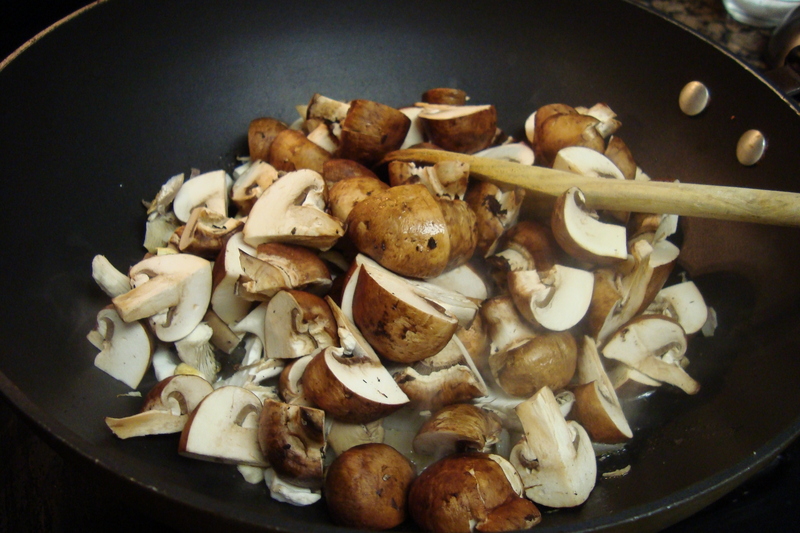 Clean the mushrooms by brushing them off with a damp paper towel. 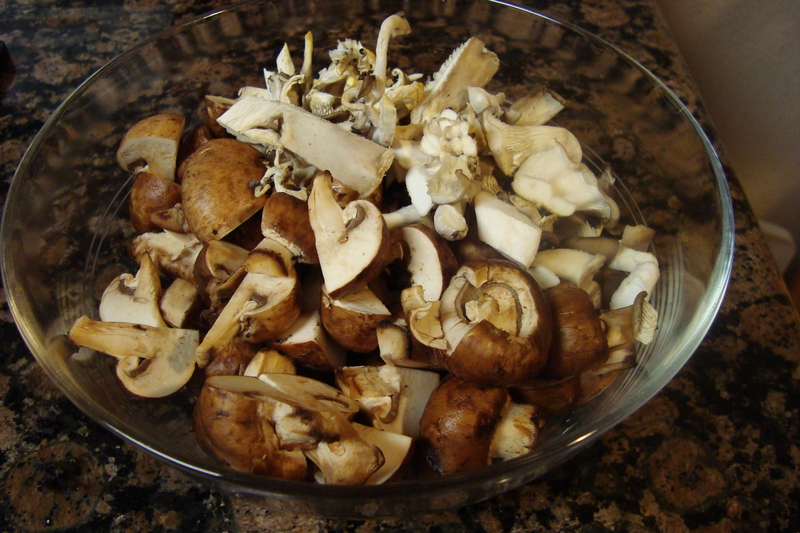 Cut them into thick slices, or quarter round mushrooms, like crimini or white button. Heat a large saute pan over medium heat. Add the butter and olive oil, then add the shallot. Saute until the shallot is soft. 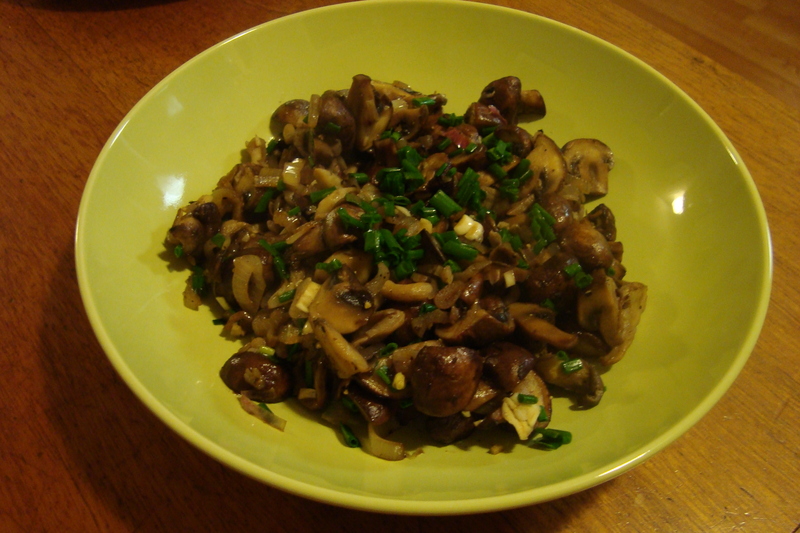 Add the mushrooms, and saute until they have cooked down a little bit (8-10 minutes). Add the garlic, salt, and pepper (to taste) and stir to combine. Allow to cook for a couple more minutes, then pour in the brandy. Once the brandy has cooked off, turn off the heat and garnish with chives. 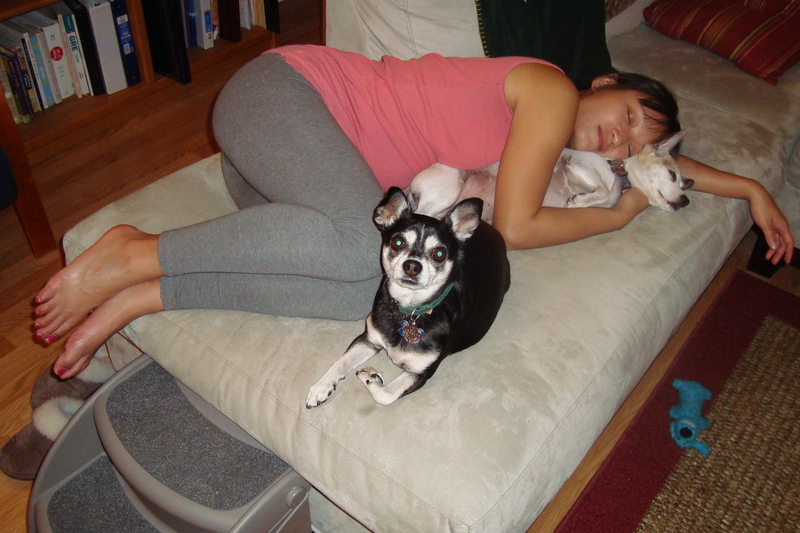 (Optional) After dinner, take nap.